Home » Support » Frequently Asked Questions (FAQ) » Can I run VIP Task Manager as a single user? 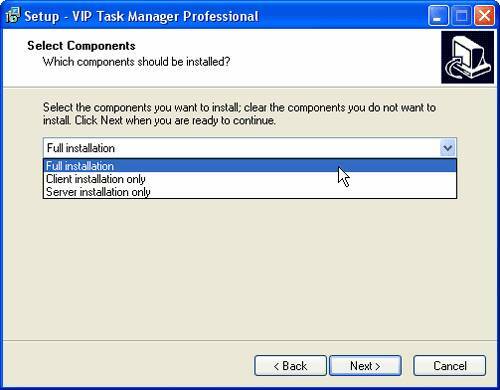 The installation file of VIP Task Manager contains both client and server components. If you would like to install and use VIP Task Manager on your computer only, you need to install both components (client and server) on your computer, i.e. select “Full Installation” while installing VIP Task Manager. After installation you will be able to connect to the database stored on your computer.